Dr. McInerny has had over 40 years experience as a primary care pediatrician. Dr. McInerny's areas of expertise are in caring for children with chronic illness, children's mental health, the financing of children's health care, and quality improvement. Dr. McInerny retired as of June 1, 2014 as Professor and Associate Chair for Clinical Affairs at UR Medicine Golisano Children's Hospital. He was the liaison with the community-based pediatricians. Dr. McInerny has had significant involvement at the national level holding leadership positions with the American Academy of Pediatrics which have included District II - Member, Executive Committee; Treasurer; Chapter 1, District II - Member of the Executive Committee and served as Vice President and President. He was Chairman of the Committee on Child Health Financing, Chairman of the ACQIP-EQIPP Strategic Planning Committee; a member of the Pediatrician Reimbursement Advisory Team, a member of the Private Sector Advocacy Advisory Committee and was also a member of the Access to Care Subcommittee. He has been a member of the ADHD Project Advisory Committee, a member of the Immunization Advisory Team, and a member of the Mental Health Task Force. He was previously the AAP representative to the Ambulatory Care Quality Association and the AAP representative to the National Committee on Quality Assurance (NCQA). Previously, Dr. McInerny was the AAP representative to the American Board of Pediatrics Task Force on Maintenance of Certification in Pediatrics, AAP representative to the AMA Physician Consortium for Quality Improvement and is also a member of the Steering Committee on Quality Improvement and Management. Dr. McInerny served as President-elect, President, and Immediate Past President of the AAP. Dr. McInerny is also a member of the National Quality Forum (NQF) Child Health Quality Measures Steering Committee and is presently Co-Chair. In addition, Dr. McInerny has served as Chairman of the Pediatric Advisory Group for the New York State Department of Health. Dr. McInerny is Editor-in-Chief of the fifth edition of Dr. Robert Hoekelman's textbook, "Primary Pediatric Care." 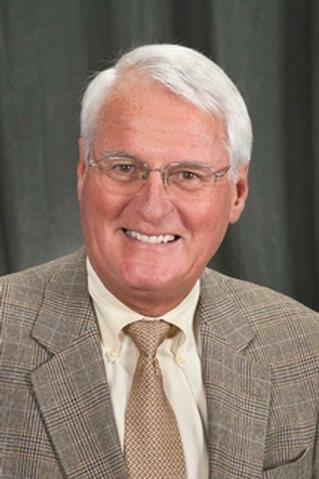 Dr. McInerny is Emeritus Professor of Pediatrics at the UR Medicine Golisano Children's Hospital where he worked closely with the primary care pediatricians in the Rochester region. He has had over 40 years experience as a primary care pediatrician, was Chief Medical Officer for the Rochester Community Individual Practice Association (RCIPA) for three years and is a Certified Physician Executive and Fellow of the American College of Physician Executives. Dr. McInerny is the immediate past chair of the Committee on Child Health Financing (COCHF) and is also a member of the following Academy committees: Task Force on Immunization, the Mental Health Task Force, and Steering Committee on Quality Improvement and Management. He also served as President of Chapter I, District II (Upstate NY) and Treasurer of District II. He has also been Chair of the ACF and PROS Steering Committees and served on PPAC and the Access to Care Subcommittee. He has served as President-elect, President, and Immediate Past President of the AAP. These experiences have helped Dr. McInerny collaborate with a number of research projects, all focusing on improving quality of care and primary care to children. He is a collaborator on a number of immunization research projects, studies of health care financing, and is an institutional leader in the practice-based research network projects. Chaudron LH, Szilagyi PG, Campbell AT, Mounts KO, McInerny TK. "Legal and ethical considerations: risks and benefits of postpartum depression screening at well-child visits." Pediatrics.. 2007 Jan 0; 119(1):123-8. McManus MA, Berman S, McInerny T, Tang SF. "Weighing the risks of consumer-driven health plans for families." Pediatrics.. 2006 Apr 0; 117(4):1420-4.
. "Model contractual language for medical necessity for children." Pediatrics.. 2005 Jul 0; 116(1):261-2.